Walk into the showroom of any main dealer, and you will find cars that feature the latest technology. Typical examples include self-parking cars, and ones that can interact with your smartphone. These are just some of the characteristics that will enrich your driving experience. As you might know, car makers have to evolve so that they can be leaders rather than followers. They are always looking for ways to make our motoring lives easier and more convenient. And what better way than inventing some useful new technology for us to use? It’s no secret that many of today’s cars have functions that one can control using just the power of their voices. Some of the cars I saw at Saxton 4×4 the other day featured such clever technology. But today’s current technology only goes so far. In our future cars, we are likely to find that we can control more aspects of our vehicles by using voice commands. For example, you could tell your car to open up the trunk, turn the air conditioning on or even adjust your seat. All without pressing a button! Enabling cars with enhanced voice control offers many possibilities. Safety groups will welcome such features. That’s because it means that drivers can concentrate on driving without taking their eyes off the road. Or their hands off the steering wheel. The thing about augmented reality is that it offers a rich blend of reality and technology. Augmented reality is where computer graphics gets overlaid on top of real-life scenery. One example of augmented reality can be seen in the windshields of some of today’s cars. Some overlaid computer imagery can display current speed and GPS directions. In future vehicles, we could see traditional dashboard dials replaced with augmented reality. Of course, the only downside of that particular example is if the windshield gets damaged! By then, we might have tougher windshield glass as standard. Or we might not even have a windshield at all! We might drive cars that project the view in front of us onto a LCD screen up front. But, I digress. The cars of yesterday had nothing in the way of smartphone integration. Today’s cars feature head units (car stereos) that come with Bluetooth as standard. Bluetooth is a wireless method of communication between electronic devices. For instance, you could use a Bluetooth handsfree kit “paired” with your smartphone. 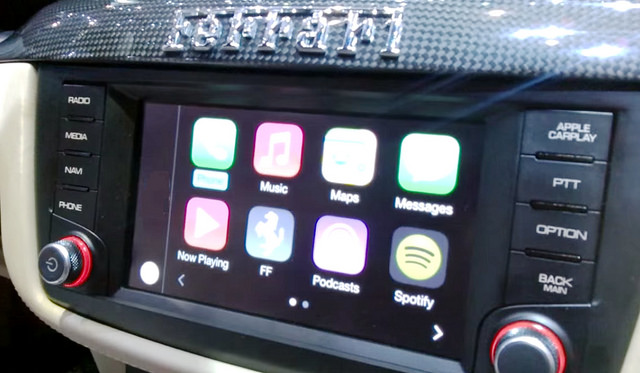 A few months ago, smartphone maker Apple introduced a new system called CarPlay. In a nutshell, CarPlay lets you talk, text and play music without diverting attention away from the road. Some new cars come with CarPlay as standard, whereas you can buy aftermarket head units for older cars. That’s great for Apple iPhone users, but what happens if you use an Android handset or Windows Phone? In those cases, CarPlay is next to useless. Car makers are aware of these problems, and each has come up with unique ways of integrating cars with smartphones. In the future, a common standard will get adopted by all the leading car makers and smartphone manufacturers. At present, there is a standard called MirrorLink that is in development. 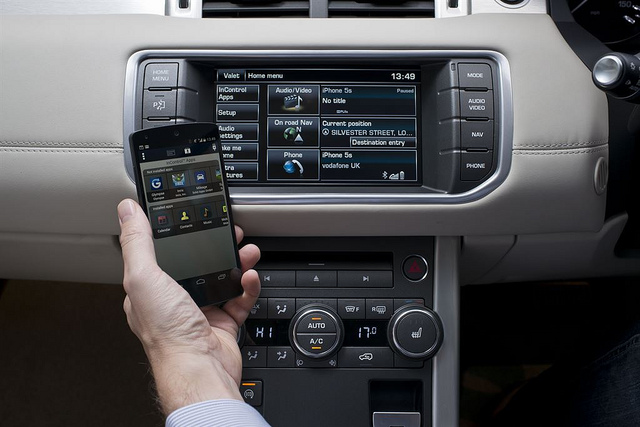 It aims to better link smartphones with car infotainment systems – i.e. what CarPlay does with the iPhone. In the future, it should be possible to use any smartphone with any car marque. If you think about it, you often drive your car in places where it gets exposed to the sun. Electric car owners would find vehicles with solar body panels useful. Why? Instead of plugging their cars into a charging point when the batteries are low on juice, they can get charged as they drive! The sun is an excellent source of energy. Many of us have solar panels on the roofs of our homes so that we can get free electricity and hot water. So, why can’t we use the sun to charge batteries in electric cars? It’s likely that car makers will explore and develop such tech for future electric vehicles. Critics of today’s electric vehicles argue that these cars aren’t as green as gas and diesel cars. That’s because more energy gets used to make electricity from coal or nuclear sources, for instance. But what if your electric car used solar power to charge its batteries? In that case, you will spend less time plugging your car into a dedicated charging point. Not only will that make your electric car greener, but it will save you money too. It’s quite annoying and upsetting to find that the paintwork on your car got damaged. Scratches, “key” marks and other general scuffs can ruin the look of your otherwise immaculate car. Getting such damage repaired is often expensive and time-consuming. So, what if there was a way that your car’s paint could somehow “heal” itself? I read with interest how car maker Nissan developed such a magical paint! Or, to be precise, a clear coat layer called Scratch Shield. Without getting too technical, Scratch Shield uses an elastic resin. The clear coat layers on today’s cars are static. Wouldn’t it be great if your car did more than just get you to your destination? Cars of the future are likely to be “smart.” For example, they could direct you to the nearest parking garage, tell you how much it costs to park and whether there are any free spaces. It can even pre-pay for your parking using your smartphone. Volkswagen and SAP are working on such a system as we speak. They tested it in one city in Germany. It’s likely that more tests will get done in other places as the technology gets developed.